Being stylish has nothing to do with being fashionable – although one can influence the other. Truly stylish people are unfazed by trends, and fashion followers. They are content to reveal their personality in speech and the way they dress. Personal style is perennial, you can’t buy it pre-packaged, and it takes thought and careful selection. Slavish copying of someone else’s style is tantamount to admitting you haven’t developed your own. Nobody is born with style; it is a learned skill, starting by getting to know yourself. How many times have you stood in a fitting room asking yourself – does this look good on me? What about? Will it go with items in your current wardrobe? Do you have to purchase something else to go with it? It is on sale …. How many times does that influence your decision? 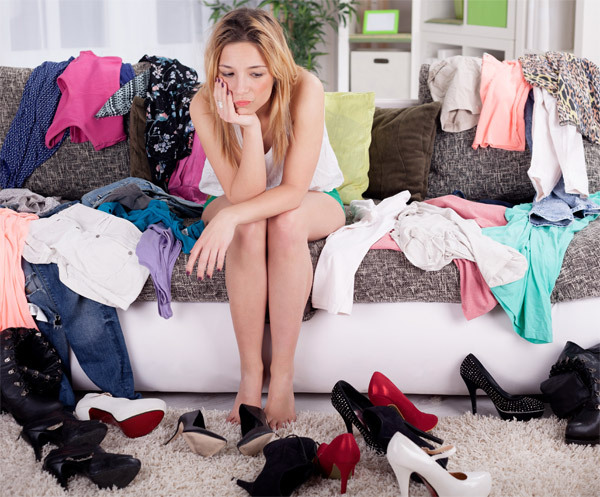 How many mistakes do you have hanging in your wardrobe? Have you thought about how much money you have wasted? The secret to developing your own Style is to know your Personal Image and Style Expression. Your Personal Style Analysis and Portfolio will unlock the secrets of why some women always look a million dollars no matter what they wear. They know their personal style, colours, and proportions! You will learn to flatter your outside line or overall body shape and how to mimic your inside line or face shape. For example: Does your style reflect Town and Country, Dramatic, Classic, Romantic, Creative? (Or a mixture of several expressions? – this means you are sending mixed messages). By knowing your Style Expression it will cut out the confusion and make building a coordinated wardrobe easy. This portfolio written for you is about you, and your personal Image and style. You will learn the styles that flatter your figure; the prints, hair styles, and accessories that give you an individualized look. Your Portfolio offers clear straightforward guidelines which talk about your body shape and gives you a broad assortment of styles to try and ways to make them work best for you. You will learn the elements of personal style and the way to get a perfect fit whatever your size. How to build a wardrobe that coordinates with itself and your lifestyle, so you always have something you love to wear that truly reflects what is UNIQUE about you and is flexible enough to suit any occasion. Over the past two decades our Personal Style system have helped women all over the world define their best image. Through our computerized Colour by Dezine® and Style systems we have gathered a massive database on body proportions and personal colours. We have also discovered from our clients the services and information they find most essential to their personal style. Your personal Colour by Dezine® Colour Palette will lay the foundation of a well-balanced, colourful, coordinated wardrobe. By taking the next step with Style to fit your unique body and face shape, that will give you the skills to up-date your image and have a wardrobe of clothes and colours that work in harmony with each other. Your Personal Portfolio gives you a complete understanding of what and why certain garments suit you while others don’t! Your Image is your personal resume. The best investment you will ever make in your life is in you!